sings Paul Rodgers in the Free song “Sail on”. (You could catch a live version of this on YouTube, but I haven’t provided the link because the audio quality isn’t great.) 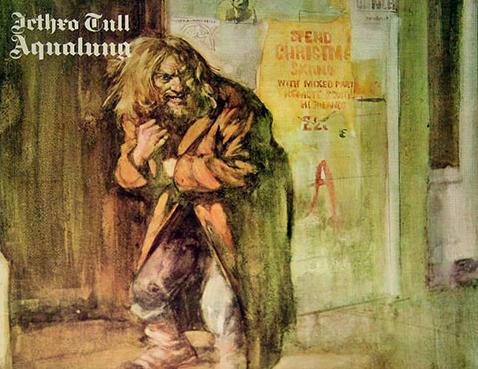 While, in the song, and in the perception of most, the line could mean that we often have to work hard for what we desire, I’d like to give it a different spin – as a line in praise of looking for second-hand (or, to use the current euphemism, ‘pre-owned’) things – and, through that spin, meander to a somewhat larger thought. Some of the most valued things we’ve gathered at home through the years (for instance – our tireless motorcycle, our rugged display case, our rock-steady turntable, many of our books, LPs and CDs) were discovered through the classifieds, unearthed in thrift stores, flea markets and pavement shops, or found at auctions and garage sales. Why have I not used words such as ‘bought’ or ‘purchased’ even though we must’ve used money for these acquisitions? Simply because such words suffice only for the dreary business of mere commercial transactions, and not for sheer ADVENTURE. And, believe me, we’ve had some thrilling adventures! I’ll take you through a couple which are typical of most of the others. And then I’ll tell you why I think they are nothing but adventure. 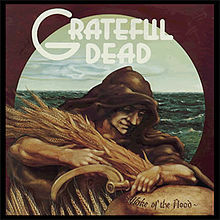 I really got hooked onto rock and blues early in the Woodstock era – in 1971 (my first year at college). Radio stations would play these amazing new sounds that captivated me entirely. This was stuff the like of which had never been heard before. I would spend all my free time (which was a lot) either glued to the radio, listening to VOA, BBC, Radio Kuwait, Radio Deutsche Welle, and such, or at the USIS or British Council libraries, (no computers or internet in those days!) devouring Records and Recording, Music and Musicians, Downbeat, Rolling Stone and any other music magazine I could lay my hands on. However, it wasn’t till 1976, my first year at work (at a princely wage of 800 rupees a month), that I could think of starting a collection of music to go with the small Philips stereo system that my sister had let me have. 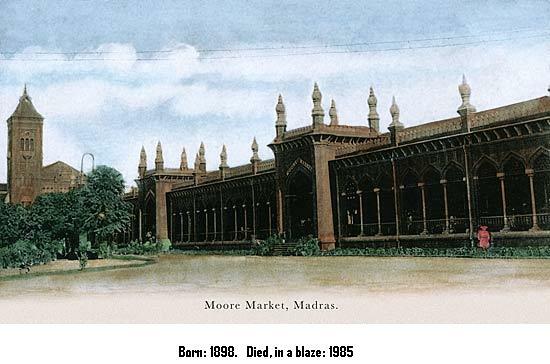 Madras had an amazing market in those days – Moore Market, near Madras Central station – a huge building that had a variety of shops in it, and a couple of parallel lanes behind it that were lined with shops selling used things. One of these shops (I never really noticed whether it had a name) was a favourite haunt of mine, as it had second hand LPs of all genres of music. The guy who ran the shop (and I never knew his name either – to me he was The Record Guy) knew just a little about pop and rock, but he certainly did know where to get LPs from! He would pick up western music from families emigrating to Australia or the West; from newly-marrieds who’d returned from the West and whose spouses didn’t quite share their preferences in music; from indulgent parents who suddenly dumped their kids’ record collections, convinced that rock and blues were forms of music designed by SATAN (no less) to lead their lambs astray; from sailors who were in port (while their ships discharged and took on cargo) and needed money to paint the town red. I really haven’t a clue of how he heard of his sources. The results however were the gems that could often be found at his place. I was left with sixty bucks by the end of the month, salary coming in again in a few days. I cycled over (you’ve met my cycle in my previous post) to The Record Guy’s place after work on Saturday afternoon. Greeted him as I would a close friend (the bounden duty of a regular). Went over to the bin with the western music, and started flipping through the LPs. (Plead a bit. Accuse him of being unfair. Pretend to tug on his heart strings. If he gets the impression that you’re desperate, he won’t budge.) And he doesn’t. And so it came to pass that two of my most treasured albums found their way into my young collection, along with a little bonus in the form of The Ventures, for sixty rupees. So, Sounds pretty neat, yes? Well, the ploy works sometimes, but flops as many times too! And that just adds to the adventure. But, I’ll come back to that, after I tell you of a more recent episode – as recent as earlier this year. My wife and I were at Thane, Mumbai, a couple of months ago, visiting relatives. One evening, we were at a shopping arcade. The ladies were looking at some kitchen things. I was outside looking around, and spotted the store of a waste paper dealer. There was an old bookshelf in the store, with about thirty books and the legend ‘For Sale’ scrawled on a piece of cardboard that must’ve been torn off an old notebook. I drifted over and peered at the books (in fact, looked down at them – I didn’t really expect to see much in a waste paper store) through the lower halves of my bifocals. I identified a Sidney Sheldon (yawn), a couple of Lustbaders (have already read one, may try the other), a few Hardy Boys and Nancy Drews (don’t kids pick up second hand books these days?) and – I couldn’t believe my eyes – an almost new hardback of Marcus Aurelius’ Meditations! The negotiations that followed were similar to those I’d had thirty seven years ago with The Record Guy, and have tried ever since with varying degrees of success and failure. I eventually came down to the book I really wanted, almost as if it were an afterthought. I left the store with the wisdom of Marcus Aurelius in my hand, a broad smile on my face, and great joy and anticipation in my heart – all for a pittance of seventy rupees! Now let me tell you why I consider these, and others like them, episodes of adventure. – To start with, you set out for a second-hand shop or market, or stumble upon one, as a discoverer would – without a clue of what you are likely to chance upon. – There’s subterfuge to be maintained (at least until, through frequent visits, you’ve built the kind of rapport with the shopkeeper where both of you can assess each others’ expectations). This subterfuge demands: an air of ‘I’m here because I have some time between more important tasks’, a bored look, a flat tone of voice, absolute control over eyes, eyebrows, lips and potential tremble, and the ability to give the impression that one doesn’t really need the object of negotiation and is willing to walk away. – There’s the thrill of going through the stock: recognition of pieces you know of or have read or heard about; identification of those that you would want to find out more about; exposure to ones that you think seem interesting enough to take a chance with. – There’s the skilled (or desperate) negotiation that follows. – Depending on what the object is worth to you, there’s sometimes a seemingly ethical dilemma (am I taking too much advantage of this guy’s goodness and/or ignorance) when you know you can drive the price pretty low. This is fleeting, though, since you quickly assure yourself that no dealer is going to part with any of his stock unless he makes SOMEthing, however little, on the deal. – There’s joy when you close the deal, or heartbreak when it slips from your grasp. – When you take the acquisition home and experience it, there’s exultation when it meets or exceeds your expectations (and you feel you have a ‘steal’), or a feeling of disappointment when it falls short (but you don’t think of it as a rip-off, because you know it was one of those times that you erred in judgement, made the wrong call). – Sometimes you try to find out if the object is otherwise available in the regular stores or other thrift stores, and if it’s not, that’s double the thrill because you know you just managed to be at the right place at the right time. If it is available, you might find that you saved quite a bit on it and (if you’re a scrooge like I am) you’re jubilant that you were able to do so. Doesn’t this add up to adventure? For me, it certainly does ! Perhaps a shade less exciting than white-water rafting, para sailing, or fighting a gorilla bare-handed and bare-chested, but adventure nevertheless! But, (on a slightly serious note) the greatest value of such acquisitions, I believe, is that each one provides us with a memory that we cherish and an experience that we relive when we look back at what life has given us so far. We know money can’t buy us true love (The Beatles, among many others, remind us of that). We’re also told that money can’t buy us happiness. Well, perhaps not as such, but… . One of the pieces of prose that I handled in a recent class presented the idea that our money is well spent not when we acquire mere possessions, but when the expenditure affords us memories and experience. I can’t agree more; that’s just the stuff I’ve been talking of! And it’s not about money only – let’s remember that money has value not in itself, but as a resource – it’s equally (and often more) so about any resources that we expend, such as time, effort, patience, emotion, as you would see from the adventures I’ve narrated. So, here’s what I’ve arrived at. Since happiness lies in experience and memories, it is entirely possible and highly likely that, when resources (including money, irrespective of how little or how much) are well and judiciously spent (isn’t that one way of looking at the term ‘well-invested’? ), you could end up with results that prompt some happiness. What do you see (…with eyes wide shut)?